Jessica is a California native who followed her love for the mountains first to Colorado, where she received her bachelor’s degree from the University of Colorado at Boulder, and then to Utah, where she completed her masters in Clinical Mental Health Counseling from Westminster College in Salt Lake. Jessica has been working therapeutically with children, teens, and adults since 2014. 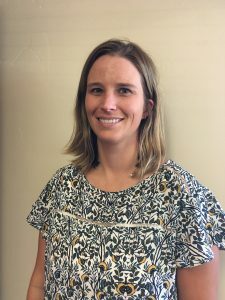 Jessica works from an attachment perspective that views individuals through a dynamic lens accounting for physical, emotional, social and environmental factors. Jessica has worked extensively with children/adolescents who have been adopted or are in the foster care system. Additionally, Jessica has years of experience working with adults to heal past traumas, create healthy relationships and manage addictions and life stressors. Whether she’s working with individuals to address complex trauma or life satisfaction, Jessica’s practice is founded on healing the whole person. Jessica is also an adjunct professor at Westminster College where she teaches a class in the masters program and she is the co-founder of the nonprofit organization, Camp Gloss. Jessica is trained in yoga and EMDR. Outside of work, Jessica loves to read, travel, and play in the snow.